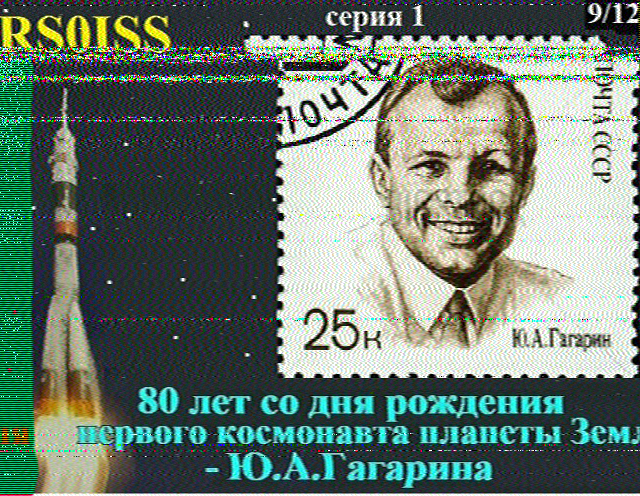 Slow Scan Television (SSTV) is transmitted by the ARISS Russia Team from the amateur radio station in the Russian Service Module of the International Space Station using the callsign RS0ISS. The equipment used is a Kenwood D710 transceiver running about 25 watts output which provides a very strong signal enabling reception using simple equipment. 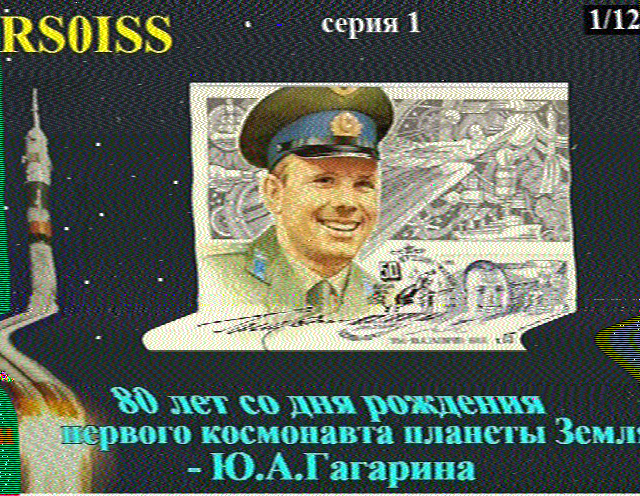 In the past twelve different images were sent on 145.800 MHz FM using the SSTV mode PD180, with a 3-minute off time between each image. This has now changed to use the faster PD120 mode with a 2 minute off-time which will allow more images to be received in an orbital pass. 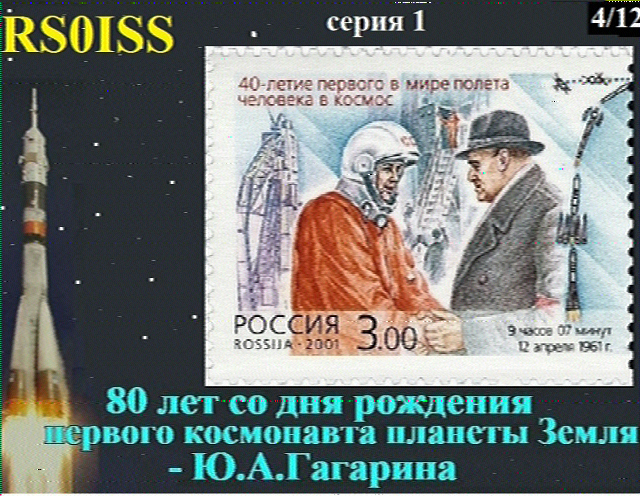 The images received by amateurs world-wide during previous transmissions can be seen at http://www.spaceflightsoftware.com/ARISS_SSTV/ and you are invited to upload any pictures you receive during the upcoming transmissions. 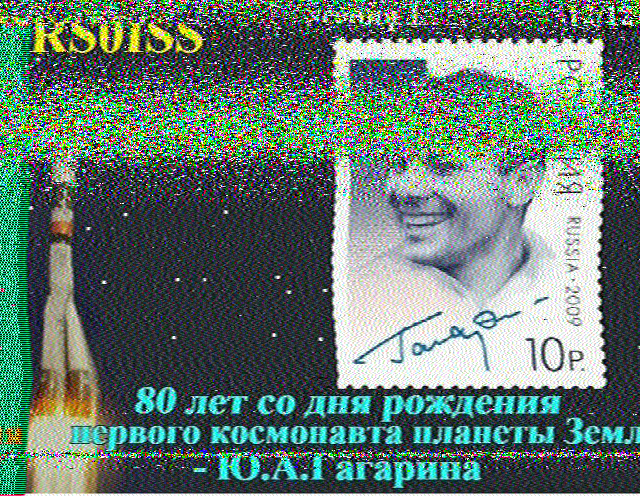 All you need to do to receive SSTV pictures direct from the space station is to connect the audio output of a scanner or amateur radio transceiver via a simple interface to the soundcard on a Windows PC or an Apple iOS device, and tune in to 145.800 MHz FM. You can even receive pictures by holding an iPhone next to the radio loudspeaker. On Windows PC’s the free application MMSSTV can be used to decode the signal, on Apple iOS devices you can use the SSTV app for compatible modes. For Linux systems try QSSTV. 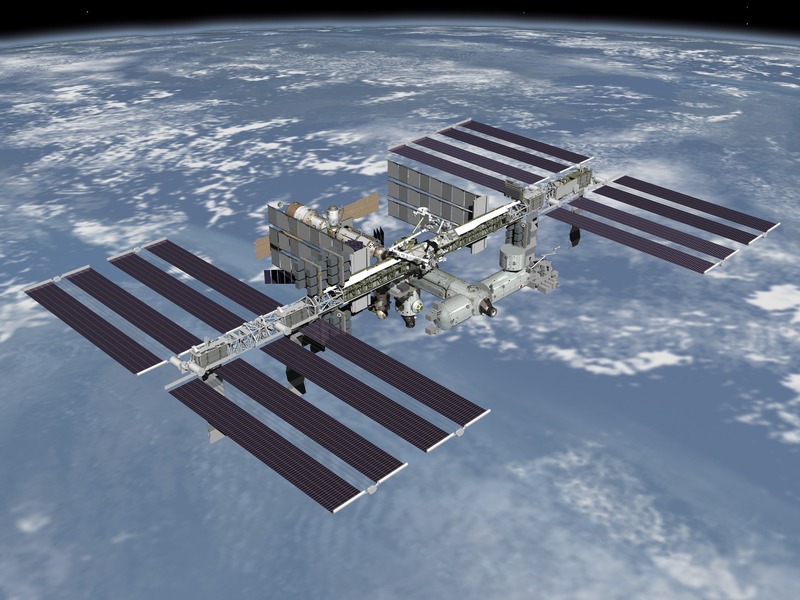 During most of a pass the ISS may be more than 15 degrees above the horizon so an antenna with a high radiation angle will give better results. Simple antennas such as an outdoor ¼ wave ground plane or dipole should give good results. Large 2m colinear antennas don’t work quite as well because their radiation pattern is concentrated at the horizon. The MMSSTV default setting may need to be set to 24000 (exactly half of the sound card setting). You then should get good clean images. The sound card adjustments will vary slightly depending on the version of the OS you are running, but usually will be under the advanced properties for the device. You can probably use a higher sampling rate for the sound card so long as it is a power of 2 multiple (2,4,8, etc) of the value in MMSSTV. For instance 192k (8x) has no issues. The same applies to most similar software.